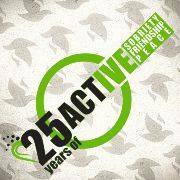 Active – Sobriety, Friendship and Peace is a European youth umbrella organization gathering 31 organization from 24 different European countries. Founded in 1990, our organization engages more than 25 000 young people, all united in what they promote and practice – a lifestyle free from alcohol and other drugs. We welcome new partners and this page will be updated periodically.